This steering trim control unit is molded of black plastic with raised white letters to not only enhance boat appearance but also provide the ultimate in control of any high performance boat. The steering trim control unit mounts easily to steering wheel spokes to place engine trim control at your finger tips for maximum safety and ease of operation. 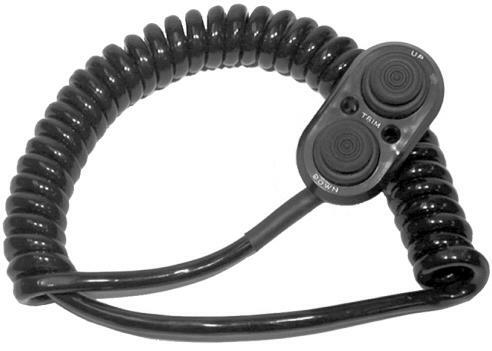 The weather proof, rubber booted, push button switches combined with a black urethane coiled cord provide a unit which will provide trim control without removing hands from steering wheel.